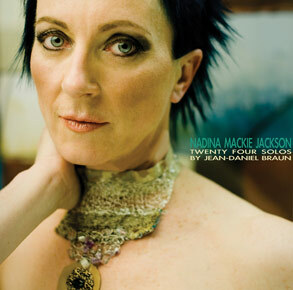 A cou­ple of days ago, I received Nad­i­na Mack­ie Jackson’s new CD, Twen­ty Four Solos by Jean-Daniel Braun in the mail. I had been eager­ly await­ing the disc since its release at the end of Octo­ber. Of course I want­ed to hear Nadina’s record­ing (which is won­der­ful! ), but my enthu­si­asm was also part­ly self­ish; I wrote the album’s lin­er notes. This came about a bit by chance. Nad­i­na put out a call on Face­book for help with lin­er notes, and I hap­pened to see and respond to it in pret­ty short order. So thanks to her for giv­ing me my first for­ay into writ­ing lin­er notes! I have always enjoyed writ­ing pro­gram notes for my own recitals, and I sup­pose that this was the log­i­cal next step. It’s nice to be able to bring both my bas­soon and musi­col­o­gy train­ing to bear on the same project. Writ­ings on the life and works of Jean-Daniel Braun are sparse. But, I was able to piece togeth­er a fair amount of infor­ma­tion from a vari­ety of sources. The best of these were fac­sim­i­les of orig­i­nal print­ings which includ­ed cat­a­logs of his works, copies of his roy­al priv­i­lege for print­ing music, and small details on the title pages. In my quest to suss out every pos­si­ble detail I actu­al­ly went a lit­tle over­board, and my text had to be cut down slight­ly to fit the avail­able space. But, Nad­i­na has post­ed the full ver­sion on her web site. While you’re there, order a copy of the CD!